Orthodontics is the process of straightening teeth, to give you a smile to be proud of. We offer a few options for straightening teeth, whether you want something more discreet, or want to see results quickly we are happy to advise on the best course of action that's suitable to you. The average person smiles 35 times a day! We are happy to provide routine tooth alignments using discreet braces. Straightening your teeth must be done properly and can affect your whole life. For simple straightening of the front teeth, when the rest of your teeth meet properly, we will use Inman or clear aligners. Other names to look out for include Damon braces, Invisalign, 6 Month Smiles. The result is of course to end up with attractive, aligned teeth for life, whatever the system. Until now, the alternatives to straighten front teeth involved either long and expensive orthodontic treatments or destructive and expensive restorative treatments such as veneers or crowns. Even ultra-thin veneers can involve heavy reduction of natural teeth when used to align crowding or protrusion. People love the speed of treatment and it’s changing the face of dentistry as we know it. “For years I wanted to have straight front upper teeth so finally I did some research and found the Inman Aligner. The Inman Aligner seemed perfect because it specifically straightens front teeth over several weeks and not months/years as with other methods. The Inman Aligner is also much cheaper than other teeth straightening methods. I searched for a dental practice that provided the Inman Aligner in my local area and found The Stafford Dental Practice. I had a consultation with Jason Greenwood who was very reassuring gave me all the information I needed without putting any pressure on me. I had trust and confidence in Jason and soon committed to having the Inman Aligner treatment. I wore the Inman Aligner for 7 weeks and had regular check ups throughout with Jason. At the conclusion Jason fitted a fixed retainer to my front upper teeth and completed some subtle edge bonding to build up two front teeth that had been worn down over the years through grinding. The result of the teeth straightening from the Inman Aligner and the edge bonding is absolutely brilliant. I am thrilled with the outcome and the aftercare is excellent. The average treatment time is only 4-16 weeks! Clear aligners (retainers) move and straighten your teeth. These are often referred to by trade names such as Clearstep or Invisalign. Our system is much more cost effective than you might think. Because the retainers are clear, they are virtually invisible to others. You will not need to have wire braces on your teeth, so cleaning and eating are much easier if not just as normal. The Aligner is removable for good hygiene. You can brush and floss normally, which can help prevent tooth decay and gum disease; you simply remove, brush, floss, rinse and reinsert. You can still eat what you want. Because the “Aligners” (retainers) are removable you don’t have to worry about what you eat. There is no obviously visible metal either. 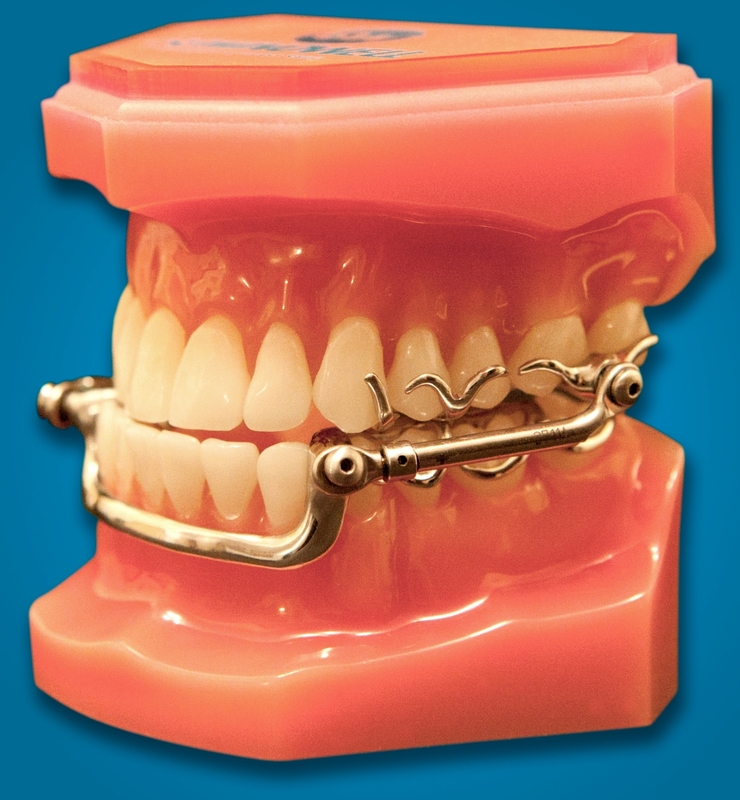 Some orthodontic appliances, like braces, can cause temporary gum inflammation. With a clear retainer there is a decreased risk of lost braces, broken wires, or allergies to metal. It is wire free and does away with the need to bond metal onto the teeth. Being nearly invisible and removable it allows you, the wearer to lead a normal life; the retainer does the rest. Retention is for life. Fixed retainers can be stuck to the inner surface of the front teeth; clear plastic retainers are worn at night, but are not always ideal for long term use. Over time they can distort or break and become unpleasant due to bacteria and oral fungi, needing periodic replacement. 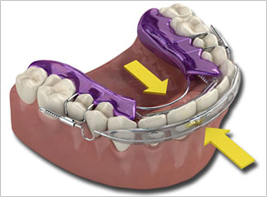 The Somnowell Retainers perform the same function as removable retainers. They work as a pair with one Somnowell in the upper arch and a separate Somnowell in the lower jaw, thereby keeping all your teeth in perfect position. The use of a medical super alloy affords a lifelong solution to the problem of retaining the newly positioned teeth, thereby enabling you to retain your beautiful smile for decades. Teeth retainers that last a lifetime: the ultimate in long term nighttime retention to protect your investment. Any treatment we do not provide on site is referred out to a registered specialist consultant.